well we had a really busy week!actually this whole transfer has been really busy. 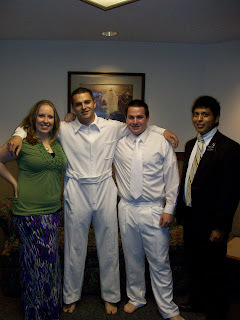 Craig was confirmed yesterday and was baptized the sunday before that. he is way solid. he was ordained a priest yesterday as well. he is doing great. we have alot alot of investigators right now. so we have been really busy teaching alot. We set a goal at the begining of the transfer to hit mission goals every week this transfer(reaching mission goals is pretty rare, not very many missionaires do it often). As well as to get 7 Baptisms.